I'm a London based photographer and writer. Before my career in advertising photography I worked in the music business for 13 years, and from 1975 - 1986 for the rock band Queen. 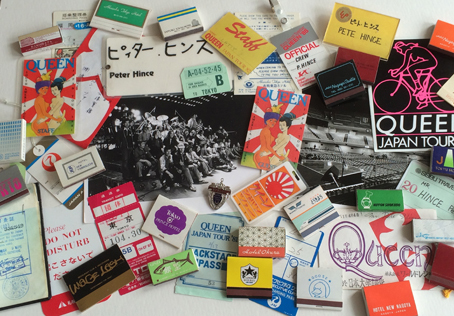 I am often asked to do talks on my time with Queen and the music business in the 1970s & '80s. Recent talks in London and the U.K include Tileyard Music Production Village, Birddog Branding & Communications, Strategic dimensions, Funzing talks. I will post any upcoming talks here that are available to the public. Please contact me if you are interested in me doing a talk or presentation. 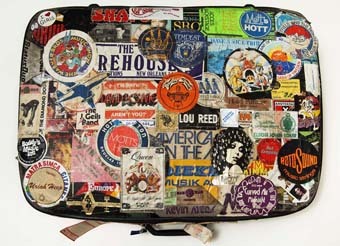 My first touring suitcase - 1973 - 1976. 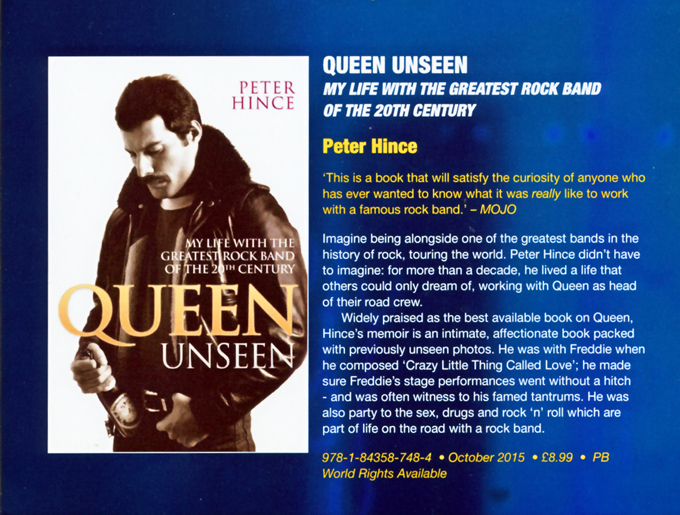 The paperback edition of my book Queen Unseen is published by Music Press - an imprint of John Blake Publishing. Four years on from the original hardback edition, I had chance to reflect, and include new stories, observations and memories, while editing what I felt didn't work; tightening the writing to make the book flow better. The structure and chapters remains the same as the original. NB: This is NOT a new book, but a revised and edited version of the original hardback edition published in 2011. Paperback edition has quotes and reviews from the original book and a postscript. 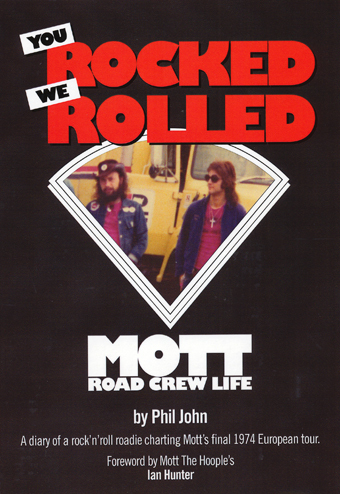 My mate Phil John, who I worked with for Mott The Hoople and later Queen, has published his illustrated diary of the final Mott tour in 1974. A good raucous read of life on the road in a VW camper van - before they were 'Retro Cool' . Available on Amazon. The book is available worldwide from Amazon and in Kindle format - in English. 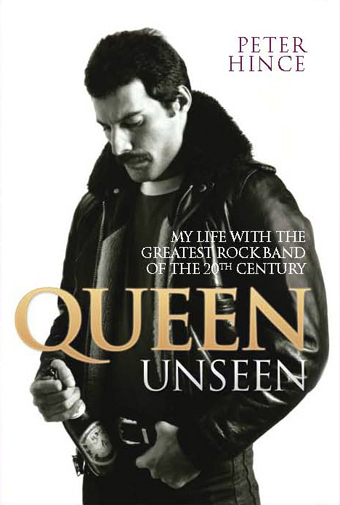 Queen Unseen is an account of the many exciting years I spent on tour, in the recording studio, at video shoots and day-to-day life with one of the world's biggest and best ever rock bands. It is an insightful and humorous account of the 1970s &'80s, for anybody who has ever wondered what working for Queen or a major rock band of that era really entailed. The book is not a chronological history or definitive biography of the band, but my personal story of travelling the world and living the rock and roll lifestyle - to the full! 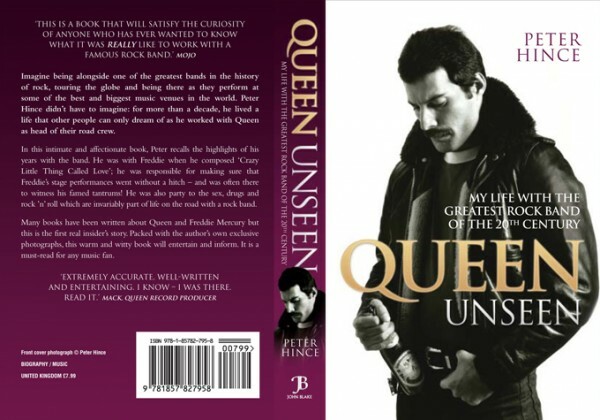 There are photo sections in the book that contain colour and black & white images from my Queen The Unseen Archive show that has been exhibited internationally.